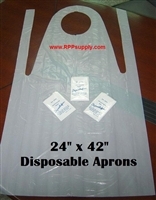 Disposable Plastic Aprons are Great for Arts & Crafts Projects. Also good for those dirty jobs where you want to protect your clothes. 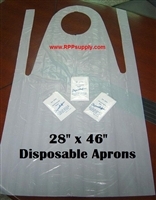 These disposable plastic Aprons are bulk flat pack.